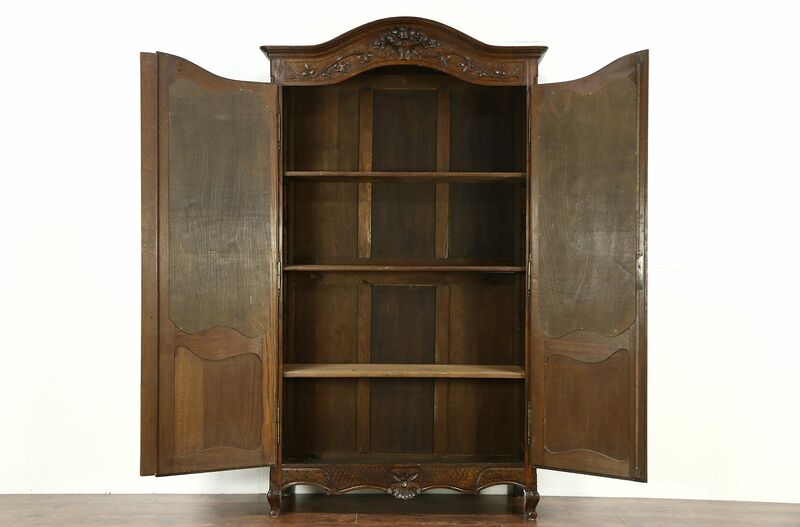 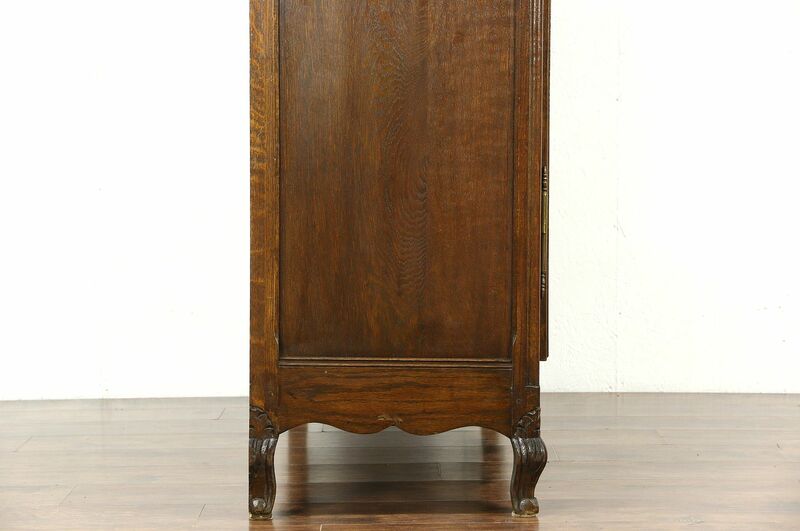 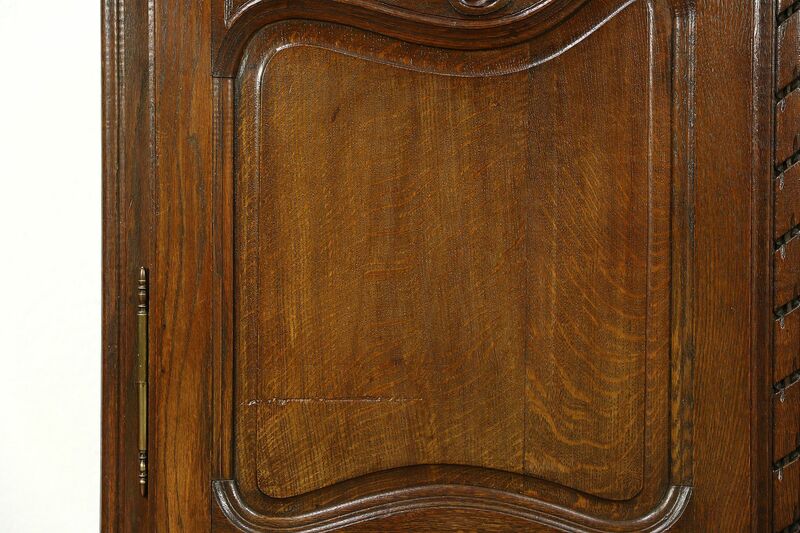 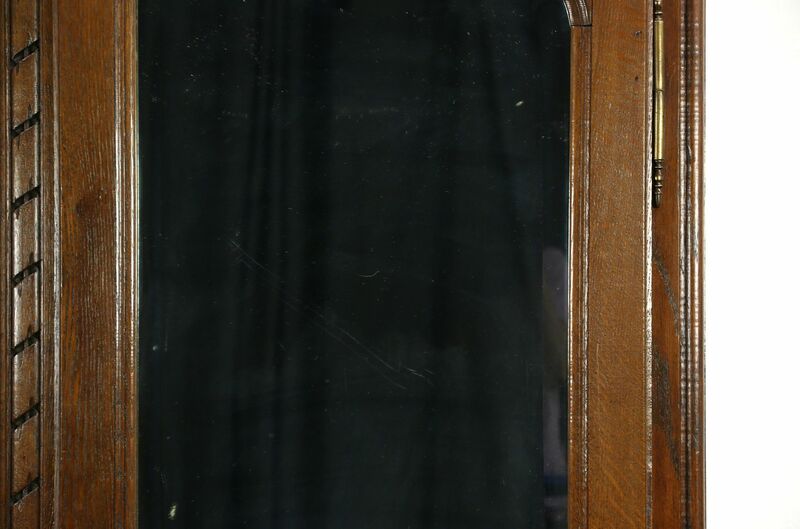 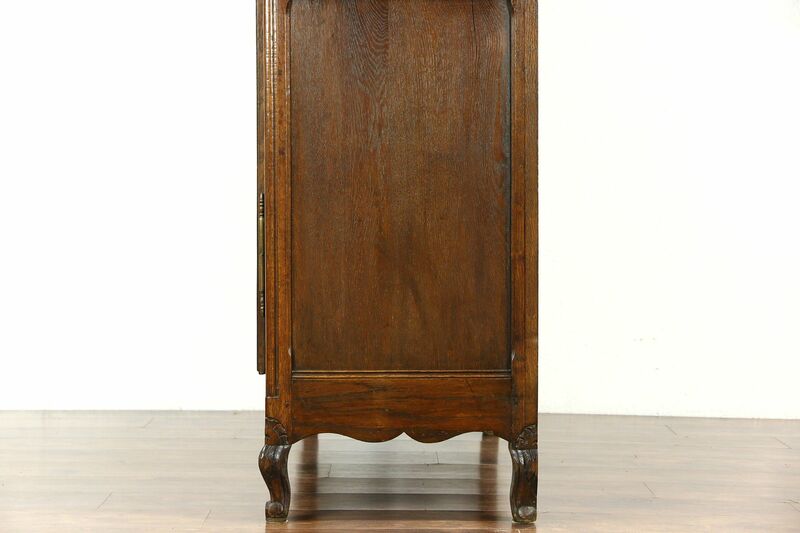 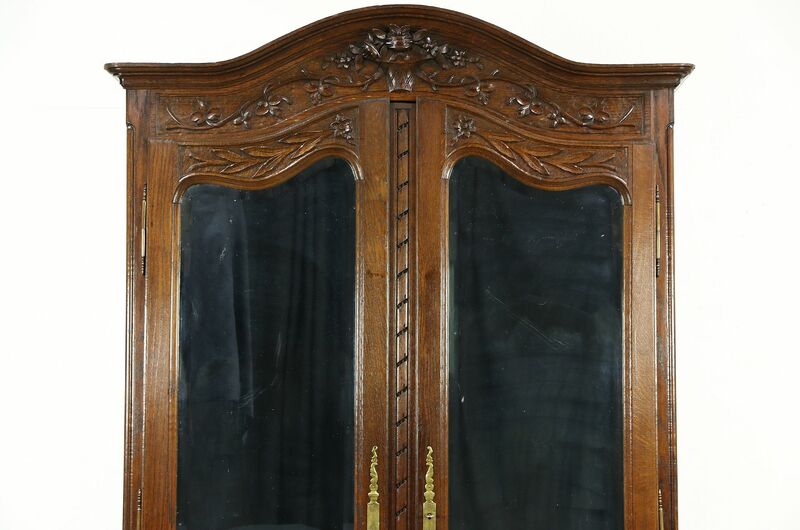 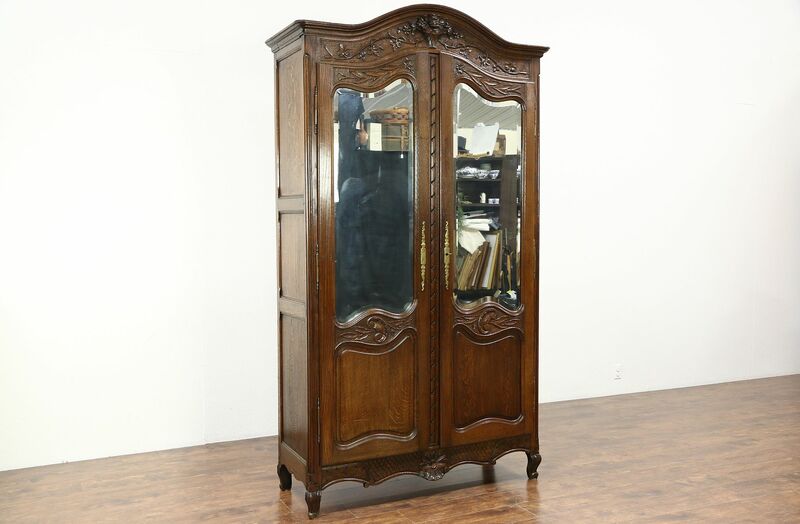 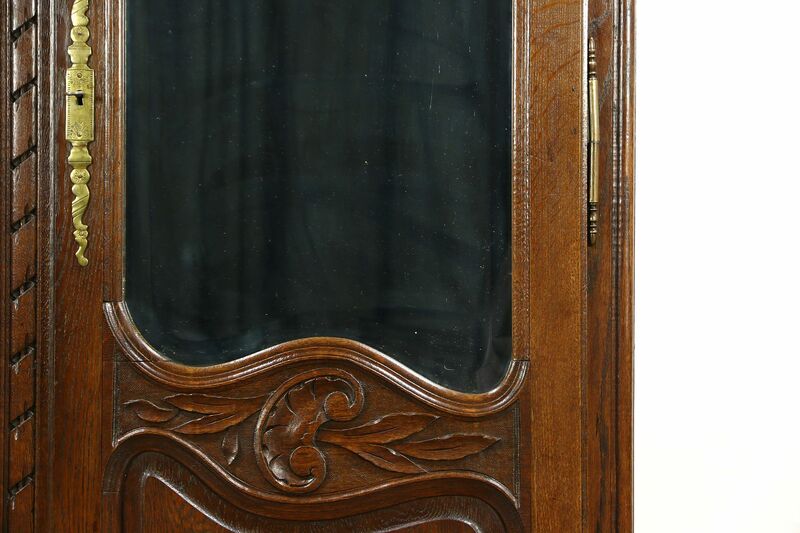 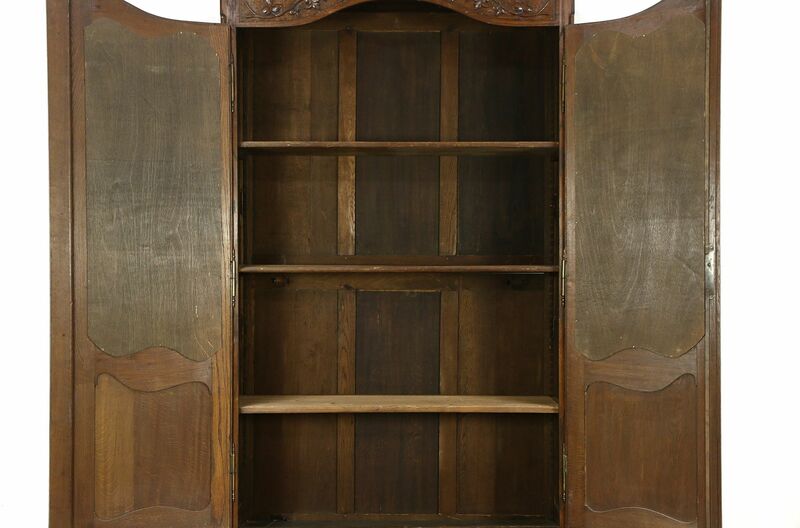 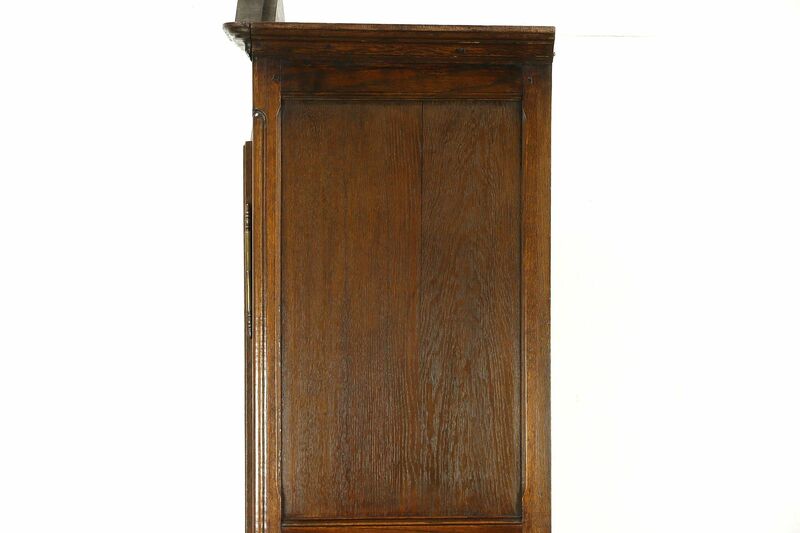 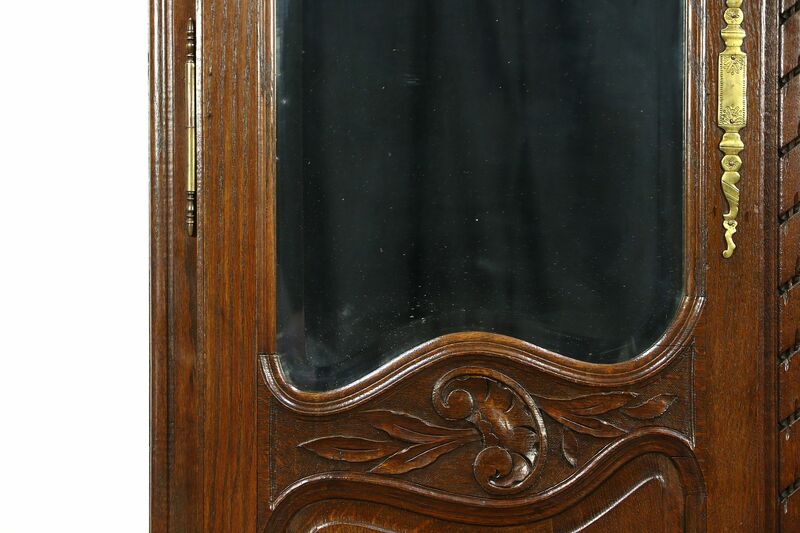 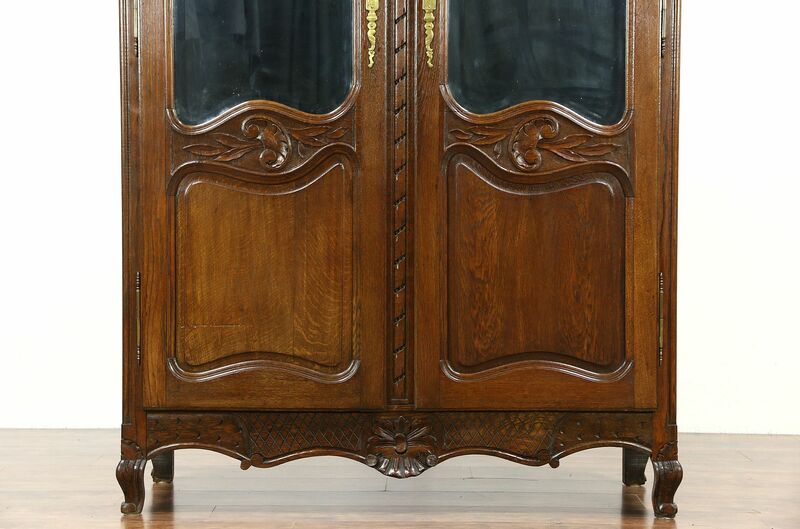 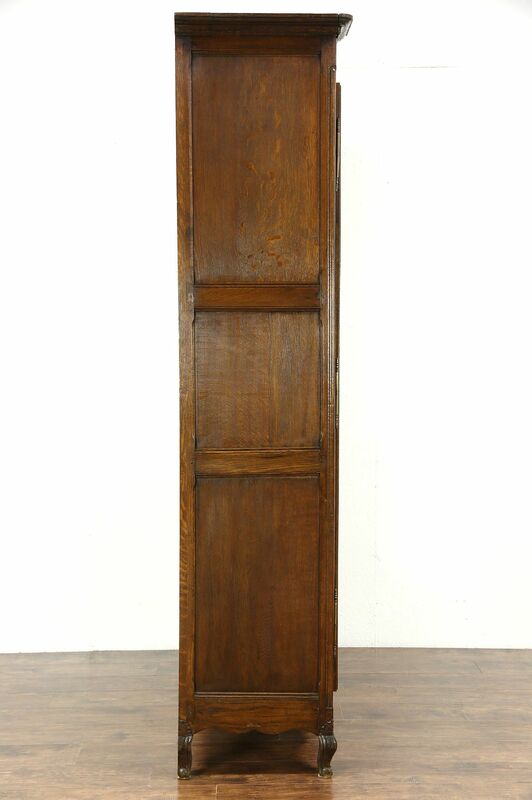 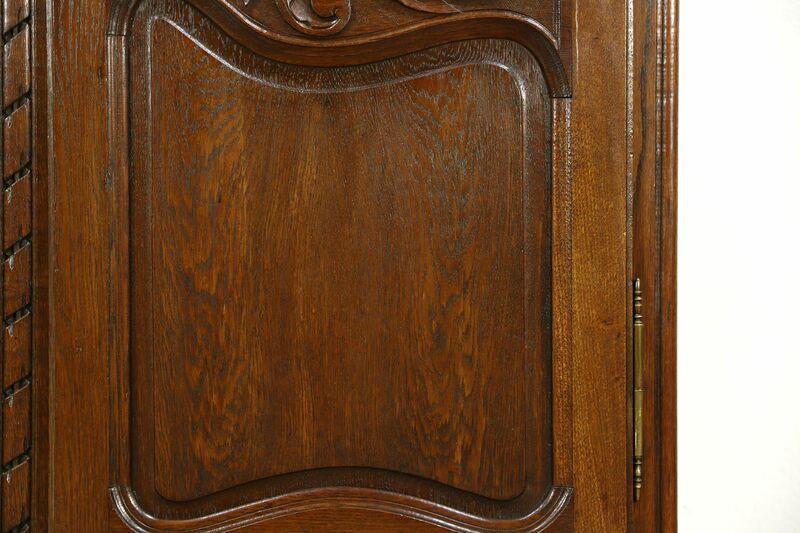 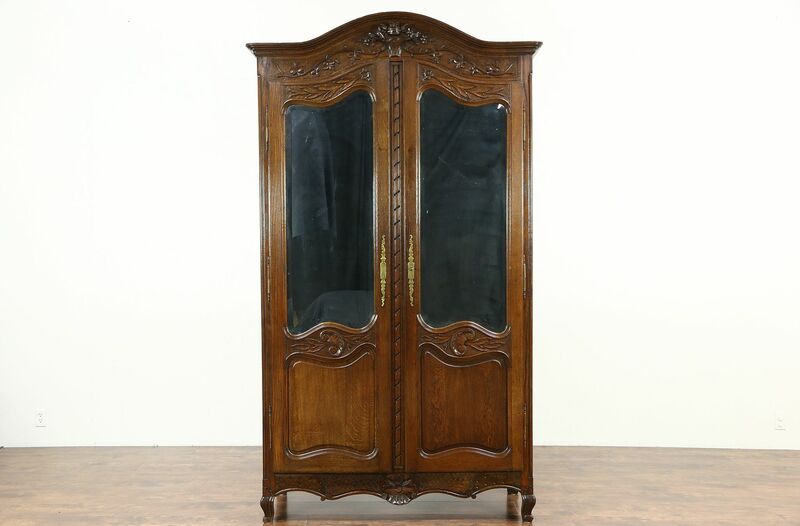 Hand carved of solid oak in France about 1890, this elegant Provincial armoire or wardrobe has shaped and beveled mirror doors with some smoke and losses to the silver, see photos. 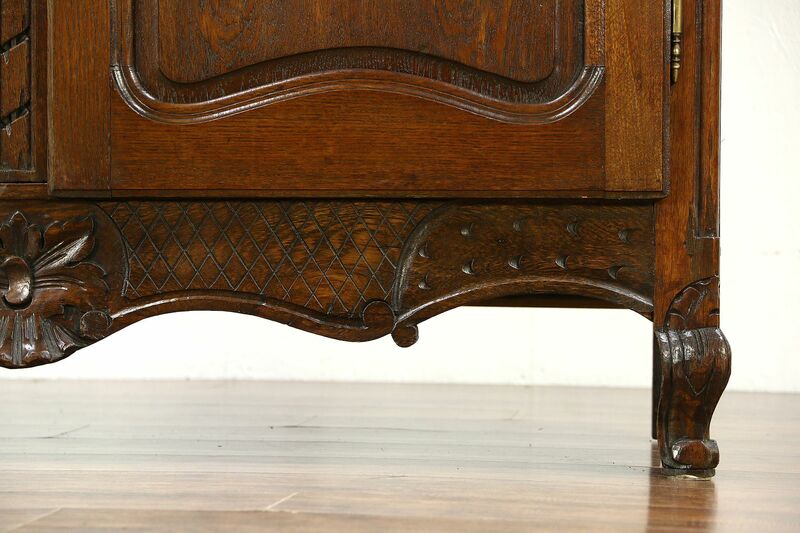 The old finish is very well preserved and has been waxed and buffed, so all that is needed to maintain the warm patina is an occasional wipe with a soft dry cloth. 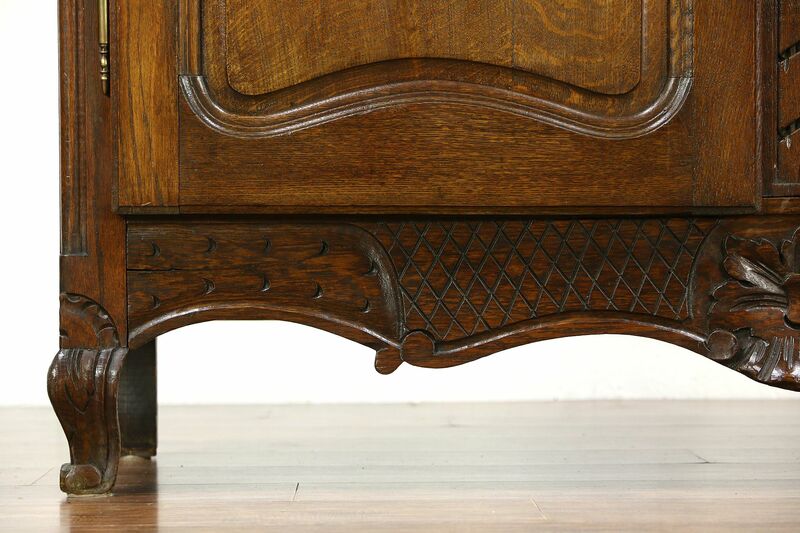 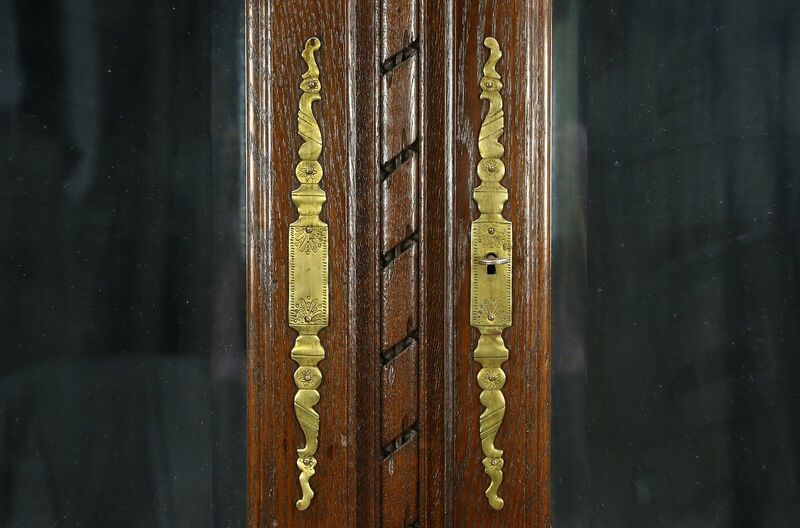 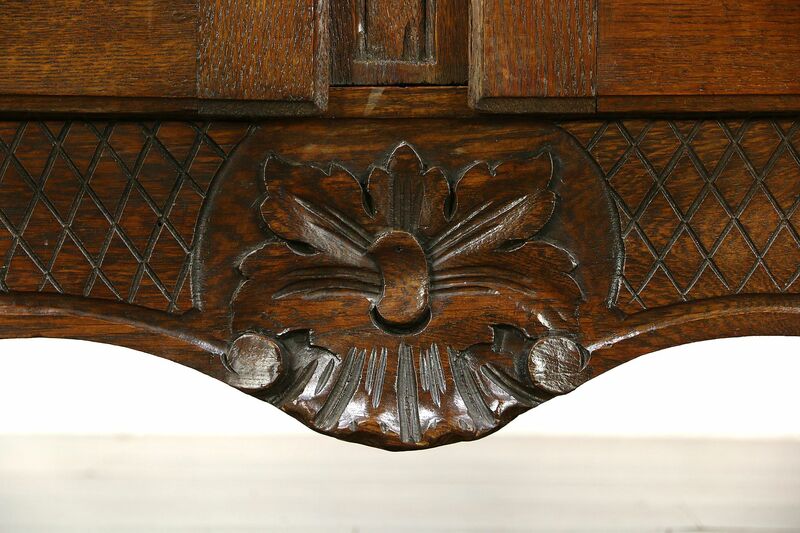 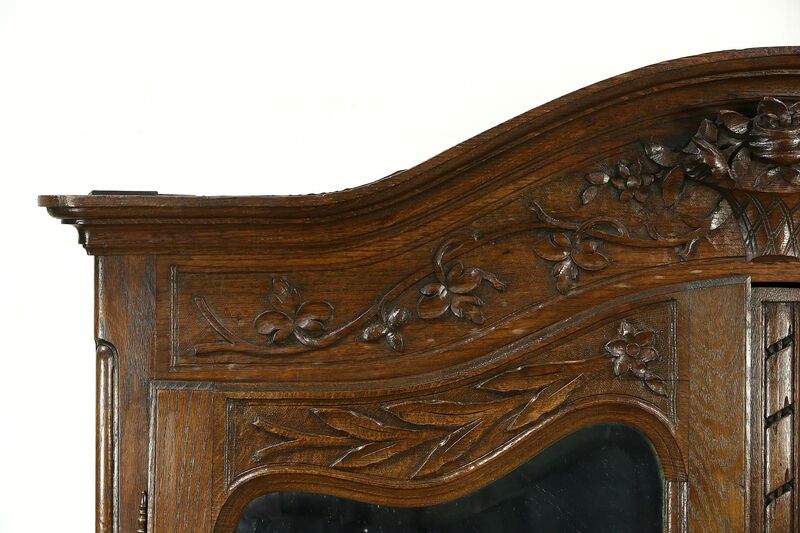 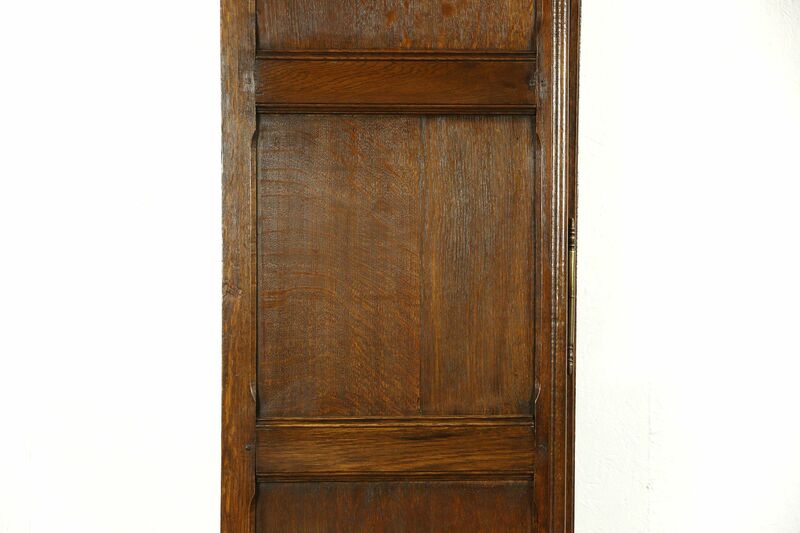 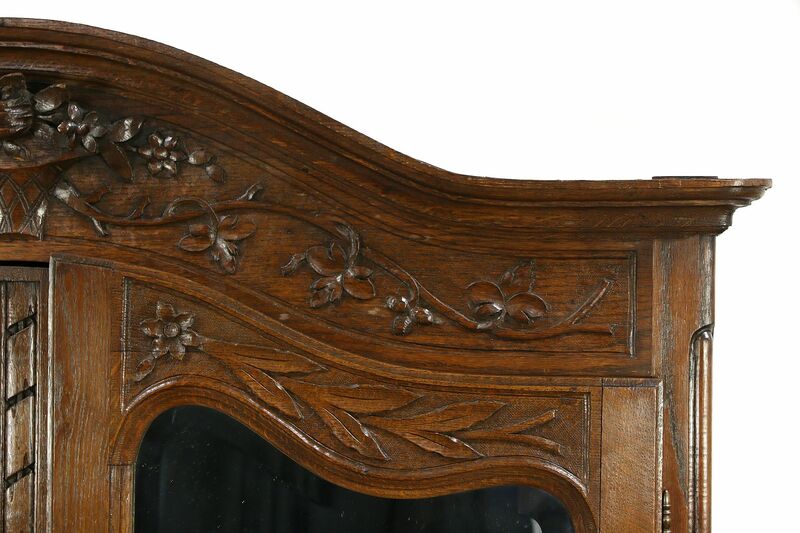 Raised panels, carved wooden pegs and the paneled back are all authentic. 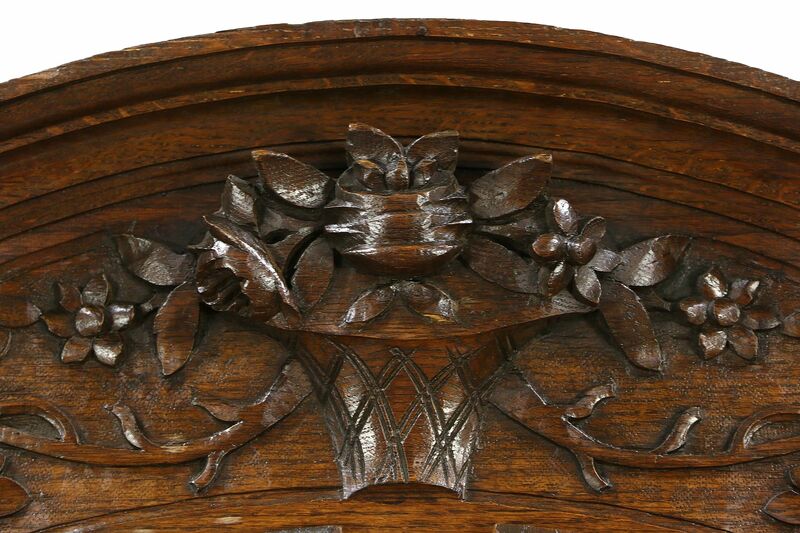 Deeply sculpted carving is masterful. 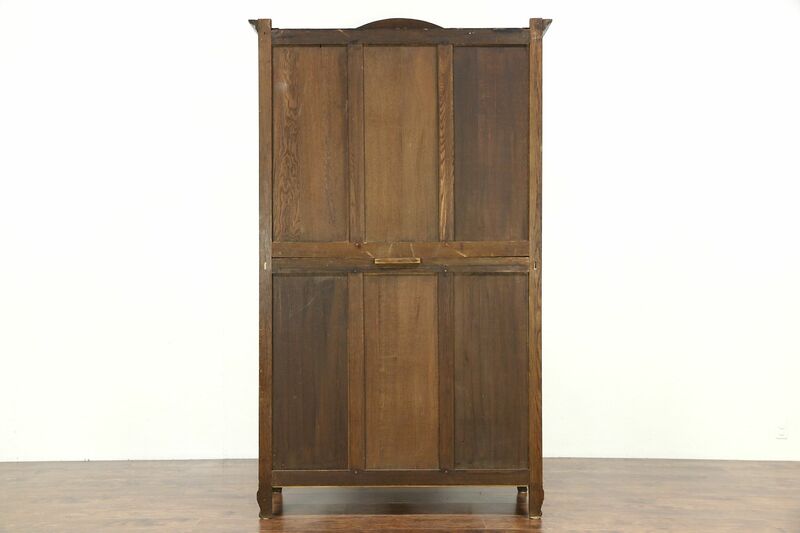 Doors have lift off hinges and this armoire can be disassembled for moving. 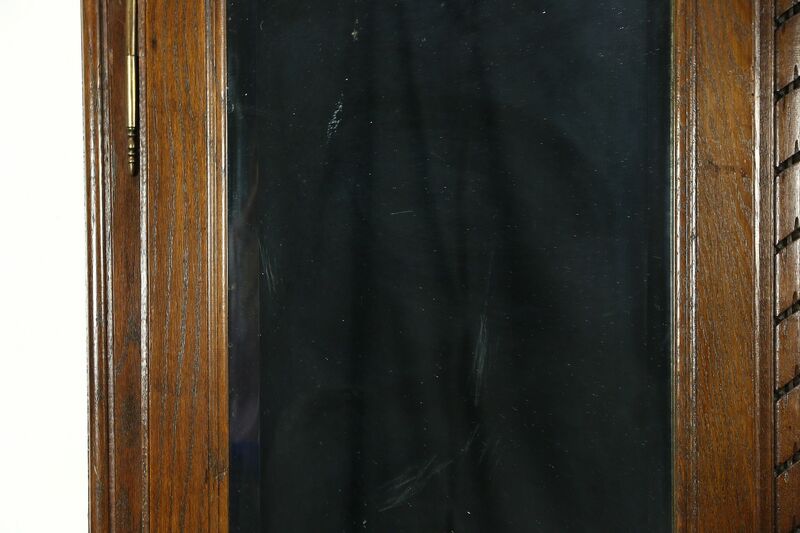 The door lock works. 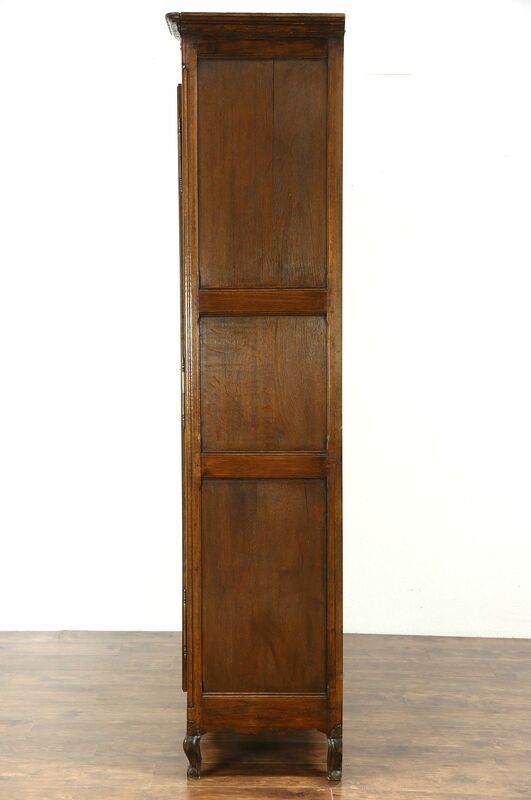 Measurements are 55" wide, 20" deep and 96" tall. 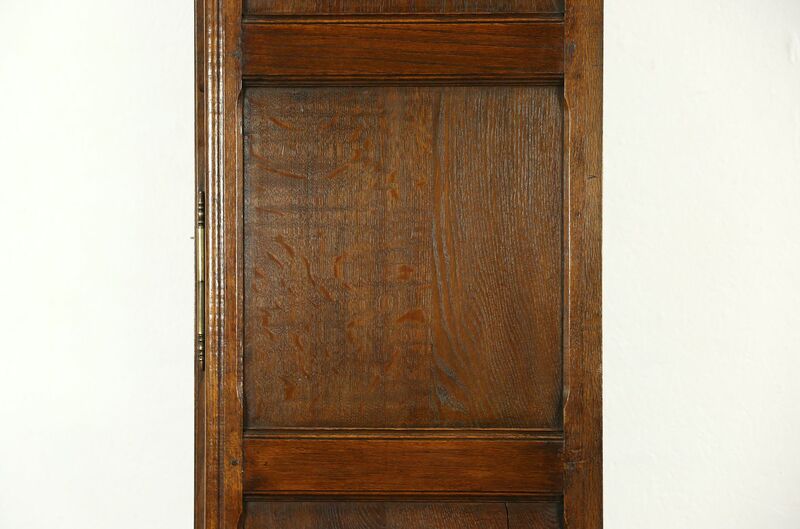 The inside is 16 1/2" deep. 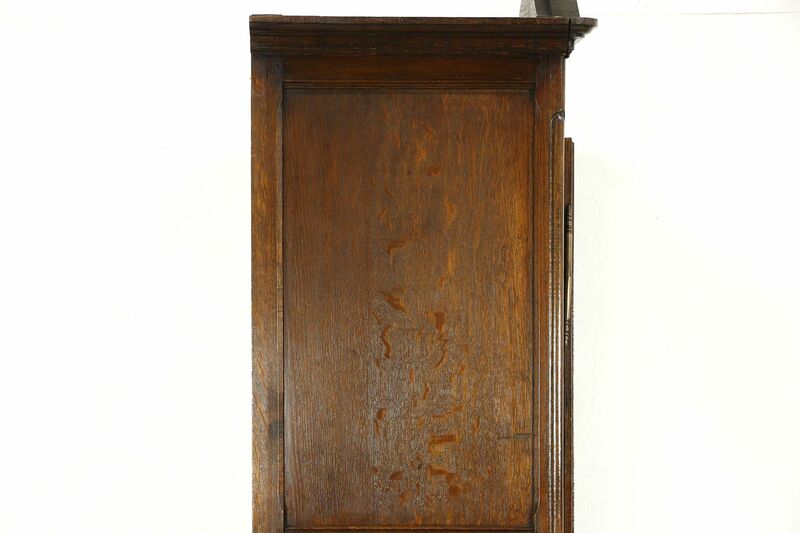 This piece must be fixed to a wall with brackets or it can tip.